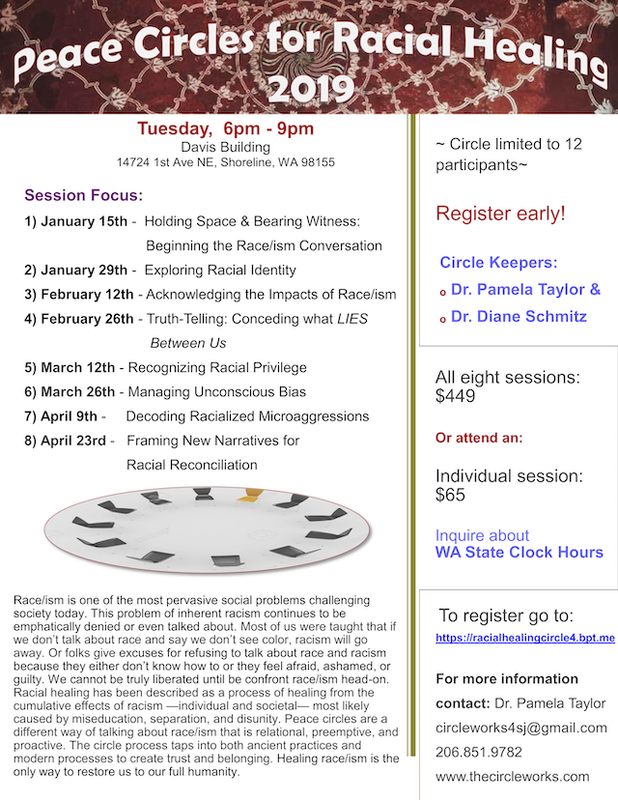 Join Circleworks for a set of sessions on Racial Healing. Tuesday, January 29, 2019 the topic is Exploring Racial Identity. Further sessions are scheduled every two weeks through April 23. Individual sessions are $65 and WA State Clock Hours may apply. Register HERE and contact Dr. Pamela Taylor 206-851-9782 for more information. Sessions are held at the Davis Building NE 147th Street and 1st Ave, Shoreline 98133.